Dazzlingly original, Ann BeattieвЂ™s Mrs. Nixon is a riveting exploration of an elusive American icon and of the fiction writerвЂ™s art. Pat Nixon remains one of our most mysterious and intriguing public figures, the only modern First Lady who never wrote a memoir. Beattie, like many of her generation, dismissed Richard NixonвЂ™s wife: вЂњinterchangeable with a Martian,вЂќ she said. Decades later, she wonders what it must have been like to be married to such a spectacularly ambitious and catastrophically self-destructive man. Drawing on a wealth of sources from Life magazine to accounts by NixonвЂ™s daughter and his doctor to The Haldeman Diaries and Jonathan SchellвЂ™s The Time of Illusion, Beattie reconstructs dozens of scenes in an attempt to see the world from Mrs. NixonвЂ™s point of view. Like Stephen KingвЂ™s On Writing, this fascinating and intimate account offers readers a rare glimpse into the imagination of a writer. Beattie, whose fiction Vanity Fair calls вЂњirony-laced reports from the front line of the baby boomersвЂ™ war with themselves,вЂќ packs insight and humor into her examination of the First Couple with whom boomers came of age. 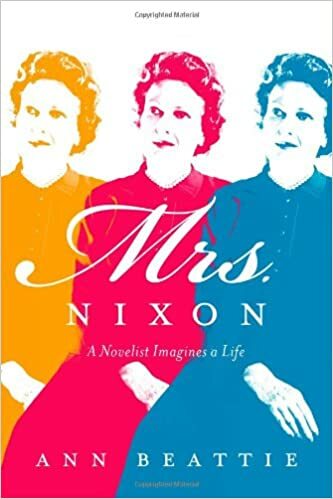 Mrs. Nixon is a startlingly compelling and revelatory work.